What happened to customer service? 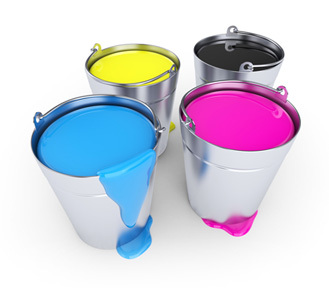 At PrintLogic we are passionate about customer service. Some companies will use the term without really thinking about it, but on a daily basis the team here at PrintLogic is looking for ways to improve how we communicate with our clients. We kick back our chairs and meet face-to-face with our customers to find out what they want, how they feel and their goals for the future. Our account executives have been known to fly across the country (sometimes even internationally) to personally deliver product to customers in need. We, in a sense, are part of your team and work as hard as you and your employees to put together successful graphic communication programs. We give you something different. You will have no problem finding companies willing to take an order for a t-shirt or water bottle with your logo on it. The difference is the company that looks beyond the water bottle, or direct mail campaign – that’s us! We ask a lot of questions. Then we give you ideas – lots of ideas. Some ideas may work, some may not, but in the end you will be pleased with the products and services that we deliver. We make a difference for you and help you shine in front of your intended audience. We pull it all together. We take your ideas from concept to completion. With a team of truly creative designers (who double as mind readers) your ideas are turned into the start of something truly awe-inspiring. The next step is to source your masterpiece to the finest print production facilities in the area while always keeping an eye on your brand guidelines and corporate colors. Normally this is where you would need to send your product to a mail house or fulfillment center. Again, PrintLogic is different. Do you need to mail, fulfill or store your products? No problem, we put it all together with the help of the industry leading e-Quantum Online Print Management program that organizes/inventories your forms and documents to optimize workflow and improve efficiency.